Ammunition Sales, Firearms Training, and More! Are you looking for a go-to shooting supply store in West Milwaukee, WI? Visit Brew City Shooters Supply Inc! We offer a wide range of services suited to your needs. Aside from our modern indoor shooting range, we also provide firearms training. To learn more about our services and the membership benefits we offer, browse through this page. Our lanes are designed to help you focus. These are well-lit and climate controlled and we also have motorized target retrieval systems. If you're looking to audition a new firearm, consider renting one from us with proper ID. We also have a separate rifle and pistol ranges. Gun safety is of primary importance to us at Brew City Shooters Supply. To ensure safety for all shooters, our staff will inspect all ammunition before you are permitted to enter the facility. Thank you for your understanding. What are the age requirements? Our strict rules are in place for your protection. Shooters must be 21 years or older with proper identification. Children and young adults between 12 and 20 years of age may shoot at our facility under the supervision of a legal parent or guardian. Please be sure to bring your ID when you come to our range. We cannot admit you without it. Additionally, you must have no legal restriction on firearms' possession. Read and abide by posted signs and safety procedures before entering the range. You must wear ear and eye protection at all times when on the range. Treat all firearms as though they are loaded at all times - maintain muzzle. Do not place your finger on the trigger until you are absolutely ready to fire. You must case or holster your gun before exiting the range. Do not rapid fire from a holster. Steel ammunition is prohibited. Additionally, it is unsafe for your weapon and our range. Shotgun slugs are permitted only two weeks prior to the deer season opening. Do not shoot a hollow point or a full metal jacket bullet. Use only soft point leads or frangible rounds with high-power, high-caliber rifles. Do not use handguns at the rifle range; please leave them at the front counter. Understand the importance of handling gun safely. Gun safety is the most important thing you'll learn about firearms. Our one-on-one firearms safety courses teach you how to handle rifles and guns. This helps to minimize the possibility of an accident and prepares you to use our indoor gun range and rifle range. Our experienced professionals are passionate about firearms and gun safety. Let us teach you how to handle firearms the right way. We're here to educate you. Our firearms instructors will explain how guns work. We'll show you the safety mechanisms as well as the proper forms. Feel comfortable with an experienced instructor at your side. We offer concealed carry classes. We schedule these on demand; so contact us if you have an interest. Improve your shooting skills. From being a beginner to an expert, you'll find the guidance you need from our firearms instructors. Brew City Shooters Supply offers training and coaching for all levels. We offer basic marksmanship, tactical marksmanship, competition shooting, and more. We charge hourly rates. The cost of membership is only $25 initially, with a $10 annual renewal fee. Over time, the discount you receive will greatly overtake the initial and annual membership fees. We encourage membership to promote gun safety. Members must take a proficiency evaluation that includes meeting safety standards and passing a live-fire qualification on paper at 21 feet. Members must always take further training if instructors request it. In addition to passing the qualification and competency, you must fill out a liability waiver. You must be at least 21 years of age, or you must be accompanied by a parent or guardian. BBSS members enjoy a discount on all accessories, discounted range fees, and other members-only perks. Join BCSS today. For Instructors: Contact us about classroom rental fees. Our classrooms sit up to 20 students. *Daily limit of one hour; we fill all lanes on a first-come, first-serve basis. Brew City Shooters Supply offers members-only benefits, including 2% off all accessories, discounted range fees, exclusive discounts on firearms training, and the option to buy or rent firearms from our shop. Drop by our shooting supply store, become a member, and experience these exceptional perks! Our friendly staff members will walk you through various options specific to your requirements. We look forwards to your visit! 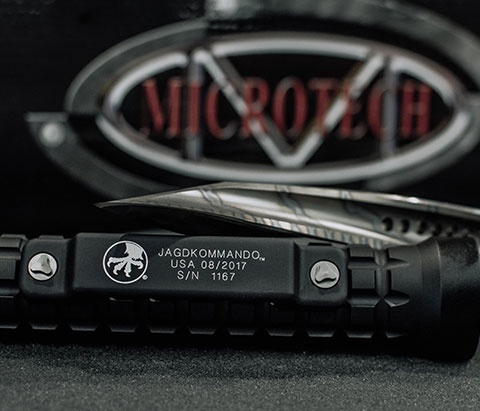 We are proud to be Milwaukee’s exclusive Microtech knives dealer. Due to limited availability, please call (414) 383-0085 and see which models we have in stock.